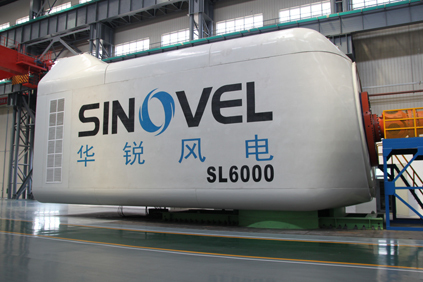 China-based wind turbine maker Sinovel is shutting down four subsidiaries and insists the closures are not related to its legal issues with the U.S. In a company filing to the Shanghai Stock Exchange, the manufacturer revealed it will close the company’s units in the U.S., Canada, Italy and Belgium, according to a Wall Street Journal (WSJ) report. At press time, Sinovel did not respond to requests for comment, and details about the four units are unavailable. However, Navigant Consulting tells NAW that Sinovel does not have manufacturing facilities in either North or South America, suggesting the offices are likely related to business development and sales. The WSJ notes a Sinovel spokesperson said on Tuesday that the company started closing subsidiaries that were “not in accordance with development strategy” in April. Notably, the spokesperson also said the closures are not at all connected to Sinovel’s ongoing legal battle with Massachusetts-based AMSC. Most recently, on June 27, the U.S. Department of Justice (DOJ) announced charges against Sinovel and three individuals related to alleged intellectual property (IP) theft from AMSC. The DOJ indictment comes about two years after AMSC initially charged Sinovel with IP infringement in China. According to the DOJ, the U.S. indictment alleges that the four defendants conspired to obtain AMSC’s copyrighted information and trade secrets in order to produce wind turbines and to retrofit existing wind turbines with AMSC’s proprietary software technology. The indictment alleges that Sinovel, through two employees, recruited an AMSC employee to leave and join Sinovel after copying IP from AMSC. If convicted, Sinovel could face billions of dollar in fines, and the three employees could be sentenced to up to 30 years in prison, according to the DOJ.